Williams have confirmed their driver line up for next season, with the incoming Felipe Massa joining Valtteri Bottas for 2014. 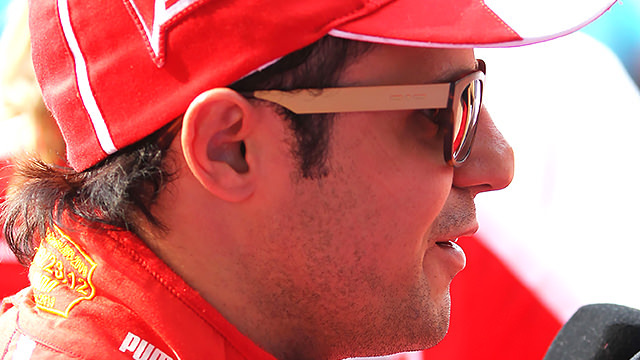 Massa leaves Ferrari at the end of this year, after eight seasons with the Scuderia, and he's been actively scouting around for a new position. Massa replaces the outgoing Pastor Maldonado at Williams, after the Venezuelan was quite outspoken about looking for a drive at a more competitive team. Of his new outfit, Massa says: "When I was a kid, I always dreamed about racing for Williams, Ferrari or McLaren, and I'm glad to be signing with another icon of the sport following my time at Ferrari." Deputy team principal Claire Williams says: "Felipe has demonstrated his talent and speed over the years, as well as his ability to help motivate and drive a team to championship success... Valtteri is an exciting young talent who has done a solid job for us in his rookie season." There's no word yet on what Rob Smedley's 2014 plans are.